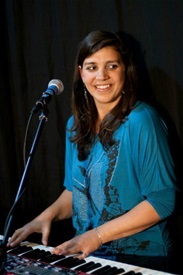 Leticia y su Rumbadama is reputed to be one of the top salsa bands in The Netherlands. 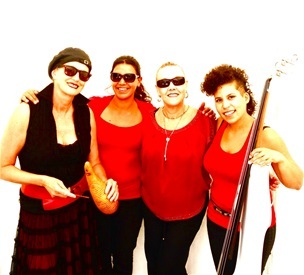 Rumbadama – as the band is more popularly known – has hardly changed its line up since 1996. In that year, the band performed live for Tros Sesjun on Dutch national radio and made its debut tour in Sweden and Finland. 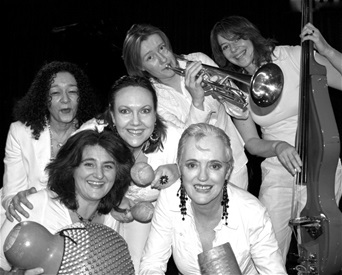 Since then the ladies have remained a very popular, steady and catchy part of the Latin music scene. 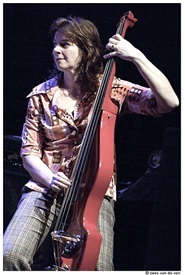 Already a well-known Latin 'timbalera' when she founded Rumbadama, band leader Leticia Bal was spotted playing at the world-famous North Sea Jazz Festival in Holland. 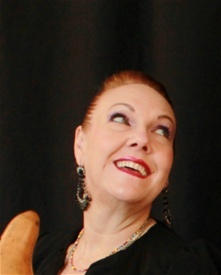 She also had toured Europe for years, sharing the stage with international salsa stars like 'Klimax' (Cuba), 'Xavier Plaza y su Orquesta Sonrisa' (Venezuela), Tito Puente, Celia Cruz, Mongo Santamaria and many others. 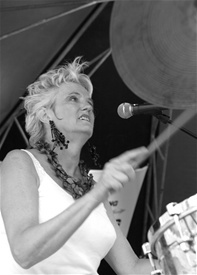 In the early 90's, Leticia hit the New York salsa scene to promote her first album. 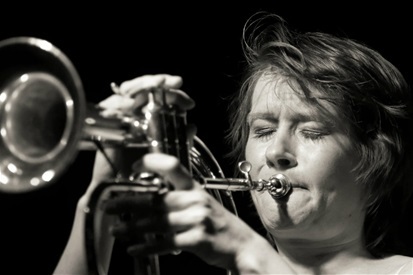 In 1999 she received a scholarship from the Dutch Fonds Voor De Podiumkunsten in order to study in Havana for a while, where she jammed with a lot of local stars, visited concerts and rehearsals every day and fed her musical soul lots of Cuban vitamines. 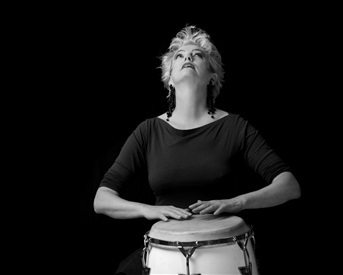 The rhythmic heart and soul of Leticia y su Rumbadama are Cuban born singer Delia González with her very groovy maracas and Leticia on conga's, bongó or timbales. Talented bass player Mick Paauwe and the young pianist Barbara Rana complete the basic line up. 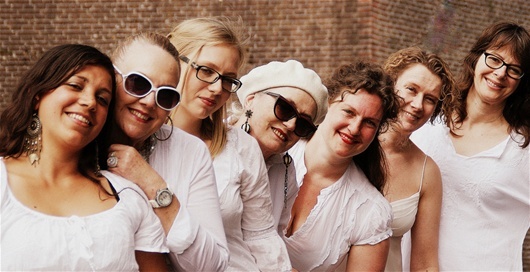 To play ‘Salsa Dura’ at full power, the Rumbadama line up is joined by a second percussionist and a one-or-two-women-brass-section, led by Ellister van der Molen, one of Holland's most talented and upcoming trumpet players. 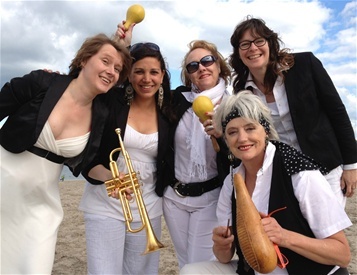 Besides having a wonderful mastery of their instruments, five of the seven 'Machas' sing a strong 'coro' and beautifully harmonized ‘mambo-riffs’, thereby creating Rumbadama’s immediately recognizable sound. 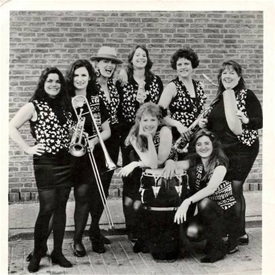 Often, people in the public are 'doo-wopping' with the band. A new genre is born: the 'doo-wop salsa'. 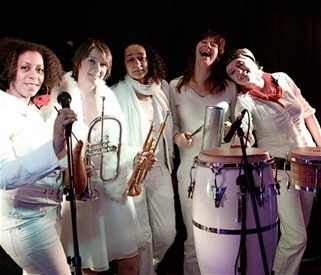 The repertoire of Leticia y su Rumbadama spans from traditional Cuban Son to a diversity of Salsa and Caribbean styles such as Cha Cha Cha, Guaracha, Son Montuno, Rumba, Plena, Bomba and the very danceable Merengue. As soon as they hear the very first note, people want to dance to the infectuous music of these Salsa 'Machas'. 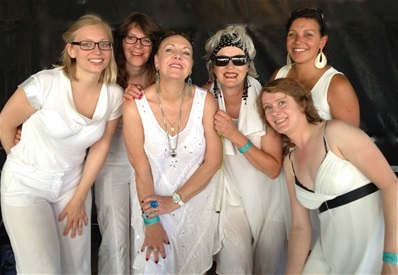 Leticia often invites the most celebrated guest-musicians in the Dutch Latin- and Latin-Jazz scene (Lisi Torres vocals, Leslie Lopez baby bass, Konkie Halmeyer steeldrums, among others) to join the band. The show can be completed with a short but catchy salsa dance lesson, during the show or before. The band performs as a 4-tet, 5-tet, 6-tet, 7-tet or 8-tet. Leticia at festival Dias Latinos. Photo by Bert Muijen. August 2011.